Does the thought of starting a part time home business fill you with enthusiasm or dread? If it’s something that excites then this article covers the steps that you need to follow to set up a part time home business in the quickest, most economical way. If it’s something that fills you with dread because, even though you want to do it, you don’t think you can, then don’t worry. You’ll see that you don’t have to be a business genius to get started and you don’t even need to have your own products! The best part time work from home opportunities are, without doubt, on the internet. The set up costs for an online part time home business are considerably less than a traditional ‘bricks and mortar’ business and it’s very easy to get started. When considering a part time home business, your first question is going to be “What Business Can I Start?” It’s important to choose a market or niche that interests you or that you know something about. You don’t have to be an expert, but a little bit of knowledge puts you in front of somebody who has none. Also, it’s much easier to work on something that you like and find interesting rather than something that has no interest to you whatsoever. There are also online part time franchise opportunities that you can operate from home. Did you know that you can have a part time home business without creating your products or services? This is called affiliate marketing and many home business ideas have got started using this model. It’s basically like being a commission based sales person where you sell other people’s products and services and get paid a commission by the product owner when you make a sale. You don’t have to buy any stock, sort out any payment systems or organize delivery. As an affiliate you can sell both tangible products and intangible products (like online video training, ebooks etc). Once you know which what type of products you are going to sell in your side business, you need a way to sell them, and this is where you use your own website. First, you need a name for your website. This is called your domain name. Next, you need to rent space on the internet so that your customers can find it online. For more information, take at look at the articles on choosing a domain name and website hosting. This is the part where some people start to get a bit worried that they don’t have sufficient technical knowledge to proceed any further with part time home business on the internet. But it is not as complicated as you may think. There are many different programs that make it easy for complete beginners to get a website online. You don’t have to be a computer programmer and by following a step by step process you can have your own website online in a matter of hours. When you have your website online with your products ready to sell, you need to get prospective customers to visit your website. You may have the best looking website online with the best products, but it nobody knows that it exists, you won’t sell anything and you won’t have a business. There are two main ways that you can drive traffic to your website. There are free website traffic techniques and paid website traffic techniques. You will have to decide what works best for your business but a combination of both means that you can take advantage of both methods. Running your own part time home business does involve time. So you have to look at ways that you can best use your time. When you have an online side business, prospective customers can visit your website 24 hours a day and it’s obviously not possible for you to be available all of that time. When you have autoresponder software it allows you to automatically respond to customer communications and build a list of prospective customers who have shown an interest in your business but need more information from yo before they make a buying decision. As your part time home business starts to build a database of prospects, you need to provide those prospects with value. When you provide quality content and information on your website, emails, blogs and other communications, your prospects will start to know, like and trust you. As you build a relationship and connection with your prospects, they will be more likely to buy from you as they you as an authority in your marketplace. 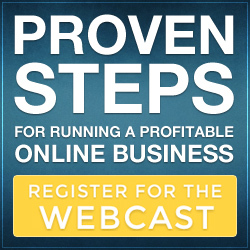 By following the 7 steps above you can build a legitimate side business on the internet. As with any business it does require time, resources and determination to get started and maintain. It is worth noting that most home business ideas have a quicker route to success with some help and guidance. 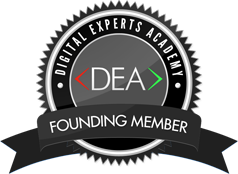 This free online business ‘crash course’ from the Digital Experts Academy provides a great starting point for learning the proven steps for running a profitable part time home business on the internet. This entry was posted in Online Business, Work from home and tagged affiliate marketing, autoresponder, Best Work From Home Business, how to set up a new online business, part time home business, side business, work from home on January 12, 2016 by Jon Allo.